Glasgow was a little boring tonight, photography wise that is, lots of people enjoying the sun at 7:30 in the evening… Scottish Summer is here, well, until tomorrow then it’s the Other Scottish Summer. It needed to be later or earlier in the day, but the sun does shine straight down St Vincent Street to George Square… I admit that the first shot is poor because it was taken from inside the car, no parking was to be had… but when I arrived at the top there was a smorgasbord of parking, so I got out and braved the traffic! 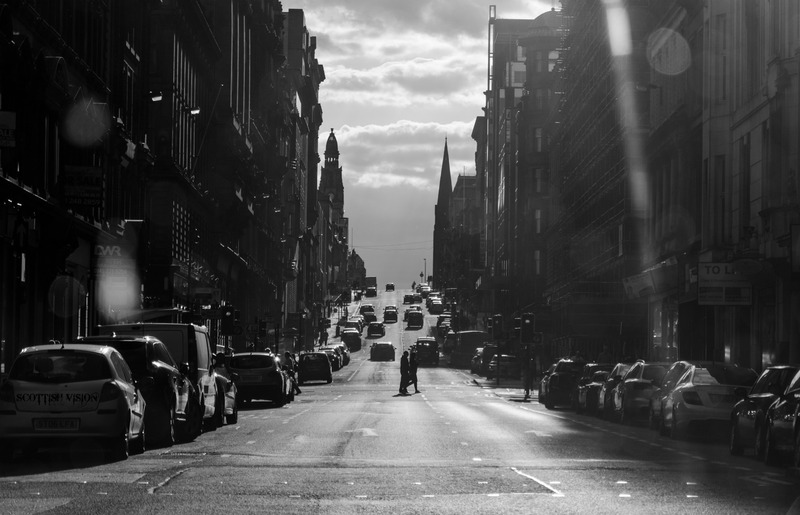 I hope you enjoy a little of Glasgow bathed in the setting sun! 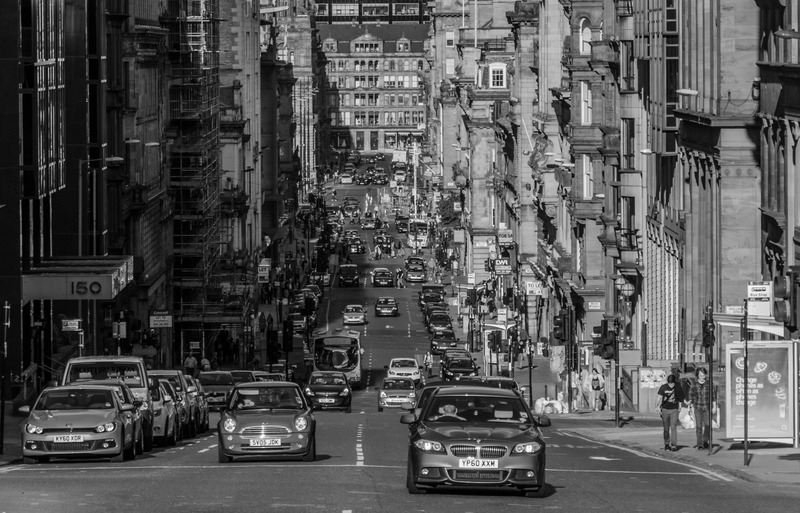 Nice – love the composition of shooting down a busy city street. It’s a pleasure… more to come… I’m covering Street Photography for my Honours year dissertation… 3 projects into one!